Portugal continue their dreadful start to the qualification group – after two games they’re already five points behind table-toppers Norway. The home side made two changes from their win in Iceland – left-back John Arne Riise was injured, so was replaced by Espen Ruud, a player more comfortable on the right. John Carew was fit to start, so replaced Mohammed Abdellaoue – but only lasted 38 minutes before getting injured, and Abdellaoue was back in. Portugal’s left-back Fabio Coentrao was also out, and they too replaced him with someone out of position – Miguel Veloso. On the other side, Silvio was in for Miguel, and in midfield Danny was dropped in favour of Tiago. The contrast in styles was clear from the start of the game – Portugal played short, neat passes that often didn’t go anywhere, whereas Norway were hitting direct balls to the forward three players, and relishing physical challenges. Morten Gamst Pedersen was used as a long throw specialist, firing balls in towards Carew and the centre-backs up from the back, whilst in open play the midfield was often bypassed, with long but accurate balls into wide zones. Portugal’s general gameplan was to get the ball to their wide players to take on the full-backs, and get crosses in for Hugo Almeida. In theory this a decent tactic, but it was far from successful. The most immediate problem was that Brede Hangeland played very well against Almeida, dominating him in the air. Norway’s full-backs were also doing a good job against Ricardo Quaresma and Nani – showing them inside into the congested centre of the pitch, always doubling up and making cutting in a difficult option. Portugal missed Fabio Coentrao’s darts forward from full-back – Veloso has deputised at left-back numerous times in his career, but has never looked particularly comfortable at getting himself forward down the line. Silvio is a more natural full-back, but his final ball was poor. As was the case before World Cup (see the second picture here), Portugal’s main problem was in the central midfield zone, where they had three players – Manuel Fernandes, Tiago and Raul Mereiles – all contributing to a job that could be covered by two. Fernandes sat deep in front of the defence, Tiago looked to hit sideways balls towards the full-backs and wingers, whilst Mereiles played a box-to-box role. Fair enough, they all had distinct jobs, but in a game where Portugal were always going to dominate possession, and in a game where they were without Cristiano Ronaldo, they wanted more creativity higher up the pitch, and the need for Danny further forward was evident within the opening twenty minutes. A combination of a sitting player, a box-to-box player and a pure creator would have been a better option – too often Portugal had the ball in promising positions, and two of their midfielders weren’t even hoping to become involved in attacking play. Occasionally, they would find Tiago and Mereiles getting forward, but even then, with Norway’s three central midfielders sitting deep, they would find themselves with a 3 v 2 situation with Henning Hauger always on hand to clear up. Frequently, though, it was Mereiles on his own against three Norway midfielders, and Portugal would then knock it out wide, where they’d encounter the aforementioned problems. Norway had threatened when Carew found himself one-on-one with Eduardo, but elsewhere their main threat came from the right-winger, Erik Huseklepp. He took advantage of Veloso’s awkwardness at left-back, in particular from diagonal balls from Pedersen on the other flank. And it was Huseklepp who got the goal – not through a moment of genius, but after a terrible mistake from Eduardo. The new Genoa goalkeeper was the best goalkeeper of the World Cup, but has had an extremely bad two games, and can take the blame for both Cyprus’ equaliser, and Norway’s winner here. After Huseklepp’s goal, Portugal’s problems going forward were amplified. Norway sat very deep, always with at least nine outfield players behind the ball – and Portugal simply couldn’t pass their way through. Often they only attacked with four players – Mereiles joining the front three – and none of them looked on form. Quaresma, unbelievably good against Cyprus, was the most disappointing: constantly holding onto the ball for too long and delaying passes. Portugal’s attacks were slow, laboured and predictable, with no-one looking to raise the tempo. This was a match that displayed the importance of scoring the first goal when both sides are looking to play on the counter-attack. After Norway went 1-0 up, they had the ability to sit back and invite pressure, before hitting quick balls forward. Their back four and two central midfielders always remained in place, and the defence sat deep, meaning Quaresma and Nani were unable to use their pace to good effect. Norway continued to show them both down the line, and the fact that neither look to naturally get into the box was very obvious. Stand-in manager Agostinho Oliveira frustratingly left it until the 72nd minute to introduce Danny (for Tiago) – and the Zenit man played high up the pitch, between the lines, and gave Norway a different problem. He produced the best pass of the match with a disguised through ball for Almeida, who was inches away from taking it in his path. Almeida had a goal disallowed for offside, but Norway came close to extending their lead when Huseklepp flashed a shot wide from the right. Even with seven minutes to go, Oliveira wasn’t ready to take off a defensive player, bringing on Liedson for Quaresma. There were a couple of half-chances for Portugal, but ultimately they didn’t do enough to score. In fairness, neither did Norway – but the Eduardo mistake gifted them a goal. If and when Portugal appoint a new coach, he must address the situation in the midfield. As frustrating as Danny was against Cyprus, it’s surely better to have someone in an advanced midfield role at least trying to make things happen, rather than play three midfielders who lack penetration and directness. Norway’s clean sheet was achieved through excellent organisation and clever tactics. Hangeland dominating Almeida was key, meaning they were content to play narrow, and force Portugal wide. With their tactics and relative lack of firepower, getting the opening goal was crucial – Huseklepp got lucky, but was the game’s best attacking player. As a Norwegian, I think this was a great result for Norway! We defended brilliantly, and took the care of our chances (even though it was a gift of a goal). But a question to you, ZM: How big a shock is this victory? If it even is a shock. If a team has off the pitch drama, can’t beat and concede four goals against Cyprus at home then losing against Norway in Oslo isn’t really shocking at all. The only way to tell Norway’s strength in this group, at the present time, is in the match against Denmark. I think it is, definitely. Portugal Ronaldoless and managerless, but still. I think people tend to go on ‘household names’ and Norway don’t have too many of those these days, though clearly a good team. Honestly I believe that Portugal has the players (and also the coach) to easily defeat Norway in normal circumstances. However, the Portuguese national team and football federation are completely upside down. Carlos Queiroz was fired yesterday after the Portuguese federation, the anti-doping association and some politicians tried to expel him for ridiculous reasons, simply because they didn’t had money to pay the termination clause. I think that Carlos Queiroz did (and was) doing a good job in Portugal, not only in the seniors team (despite the fact that I disagree the defensive-minded way he approached matches in the WC), but also in the youth teams who became a mess during the 6 years Scolari was in charge. Queiroz was re-starting the same project he did 20 years ago when he won back-to-back FIFA Youth WC and created the “Golden Generation” (L.Figo, Rui Costa, J. Andrade, Vitor Baia, Fernando Couto and so on). The thing is that Portugal played this 2 matches without any coach. Carlos Queiroz was suspended, therefore he couldn’t coach during the match but also in the trainings as he was banned from any national team facilities. I believe that the greatest problem from Portugal in this 2 matches was the midfield. Agostinho Oliveira fielded three midfielders (Meireles, Tiago and M.Fernandes) who hadn’t played a single match this season yet. I was watching the match and thinking what the likes of J.Moutinho, M.Veloso and even Ruben Micael and Carlos Martins (who weren’t even called up) could do. Portugal needed a defensive-midfielder and with the injuries of P.Mendes and Pepe, Veloso seemed the best option. I also can’t understand what Miguel is still doing here. Yes he has done great for Portugal in the past but is time is gone. How could he leave J.Pereira out?? ZM: As an Austrian I´d love it if you could find the time to comment on Austria´s current tactical non-approach (our Coach is now famed for stating both: “Tactics are generally overrated.” and “Ideally we would play like Spain.” in the same press conference). Almost every game is a perfect example of what NOT to do as a coach. It is kind of morbidly fascinating to watch, if utterly sad as a fan. Maybe when they play Switzerland or Germany? I meant Turkey or Germany, of course. The decision to not use a substitute until the 72nd minutes and only using 2 out of 3 is mind boggling and just negligent on Quieroz/Oliveira’s part. Danny should have been brought in at half time. And when he finally brought him into the game, Oliveira ended up negating that move when he swapped Quaresma for Liedson. The second sub forced Danny to play a wider position, where he’s less effective. ZM – I don’t think Danny’s performance against Cyprus was that frustrating. I found it refreshing to see him playing in that position right behind the striker. He’s brings certain skills that Portugal hasn’t really had upfront since the days of Joao Pinto. in a couple hours we’ll see what will happen with Queiroz… 80% chance he’ll be fired. #1 name to replace him according to the two biggest sports papers is Paulo Bento, former player and Sporting CP manager. After that, we’ll see how the rest of the qualifying goes on… Though personally i’ve decided to stop giving a damn and start focusing on cheering for my actual team (instead of worrying about a group of overpaid failures who call themselves a national team), who actually play good football. I really enjoyed watching this game, probably even more than the Cyprus-Portugal mutual blowout goalathon. I have really liked watching some of these Scandanavian teams like Norway and Sweden play recently. They play like they have nothing to lose (and really, they usually dont) and unlike some of the classic sit-and-counter teams (I’m thinking Swiss WC2010), they attack with some creativity and enthusiasm. Its also interesting as a US fan, because – much like the US – the Scandanavian teams that I’ve seen play a style that is going to keep games against quality opposition (sorry San Marino) pretty close. It seems the US style of play leads to similarly narrow results. It would have been interesting to see how Portugal would have fared with Ronaldo in the lineup drawing 2 or 3 defenders and pulling Norway out o shape and opening up space for some of the more highly competent attackers who usually play a more auxillary role. Nevertheless, Portugal is a highly confusing team to try and get your head around. One minute they are deservedly (?) tying the likes of Brazil and shutting down world-class offenses with ease, the next minute they are conceding 4 goals to Cyprus. One minute they score a million goals and the next minute they get shut down by Norway. On minute Christiano Ronaldo is a goal-making machine, and the next minute he has only scored once for his country in 2 years. How can a side with so many weapons (both offensively and defensively) continue to perform so subpar so often? I just dont know, and perhaps a change in the coaching staff will help organize and focus the stunning array of talent on this side. Until then, here’s hoping the Scandinavian magic of Norway rubs off on Denmark and Iceland in Group H when they play Portugal in October! Portugal seem to have a similar problem to England… Star players not producing what’s expected, and an unbalanced side despite pretty good individuals… Always 1 position they are unable to fill properly, although at least with England the problem position seems to change, with Portugal they never have a good forward! I’m sure someone would shoot me down! In England the press come out with lots of excuses… Can’t keep possession (true) poor technique (less so), players are tired…. What do they say in Portugal? That they over play and have no end product? Are over paid and don’t care enough? Will there ever be an article focusing on Egil “Drillo” Olsen? His philosophy is extreme, but that is the interesting aspect of it. A total disregard for possesion; only position. Goals from three passes or less, etc. Lots of interesting material here! As a norwegian it would really interesting to see a article about “Drillo”, as Sanhueza says. His results during his first period as manager of Norway was amazing, and the results in the second will hopefully be the same! Bringing a little country like Norway to second place on the Fifa ranking is almost unbeliveable. Thought you might want to write something about Blatter’s comments on promoting open football. I find many misunderstand or miscalculate the potential effects of changes. For example, the idea that more substitutes would result in more attacking play. Everything being equal, it would only result in fresher players to implement the coach’s defensive strategy. 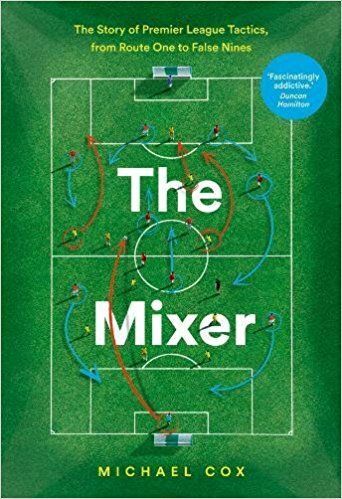 Whereas as players get tired, they are less able to efficiently implement any strategy, and we get the mistakes, etc., out of which comes attacking football. Then there’s the question of clarifying what we mean by attacking football. It’s not only goals, but an aesthetic issue. Some want goals for the sake of goals, no matter how they come. Others, like me, like to watch a nice passing game played by not superathletes. 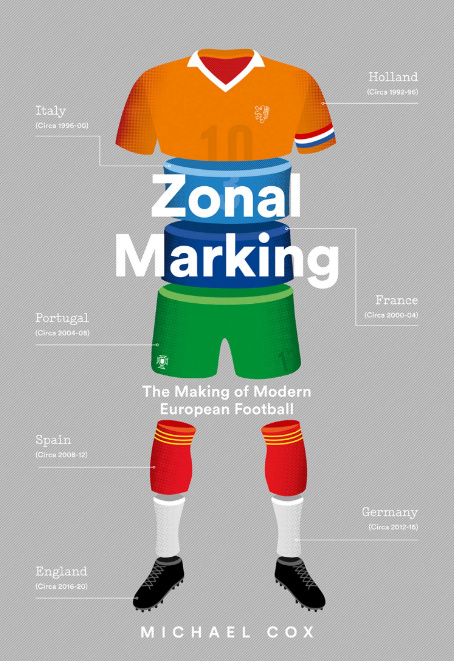 Haven’t seen this yet, but this report rings very true with what happened at the world cup. One thing that struck me with both Portugal and Holland was the enormous gap between the lone striker and the attacking midfielders. Often there would be 25 yards plus when the ball was played up. When that happens, the service has to be perfect every time, even with a player adept at holding up the ball, to give the midfield runners any chance of joining the game. And even when they do, there never seems to be enough players in attacking positions, especially in the box when the ball is played in from wide. Portugal – Brazil, when Ronaldo was hopelessly isolated, and all the Holland games until the second half against Uruguay, stand out. It’s woefully negative. Almost textbook Catenaccio, with six purely defensive players, and the coach just hoping that a talented front three plus one link man can magic something. It relies almost completely on scoring the first goal, and even with a front three as talented as Quaresma, Ronaldo and Nani, I’m not sure it’s enough to break down modern defenses. Is there any topic or article where I can read about it? ZM, today’s match, FC Porto 3-2 SC Braga, was an amazing game. Take my advice when I say you should watch the game and if not too much I’d ask you to do an analysis because it seemed to me like tactically the game had many interesting approaches to it.